I must admit that when I think of the name "Golden Hand" I also think of "Goldfinger" by Shirley Bassey. Totem Tea named this Taiwanese tea for the "golden tips of the leaves" and because the tea is "completely handmade". Indeed, the dry leaves are dark with golden highlights. The single note of chocolate from the dry leaves is not indicative of the many notes of the liquor. 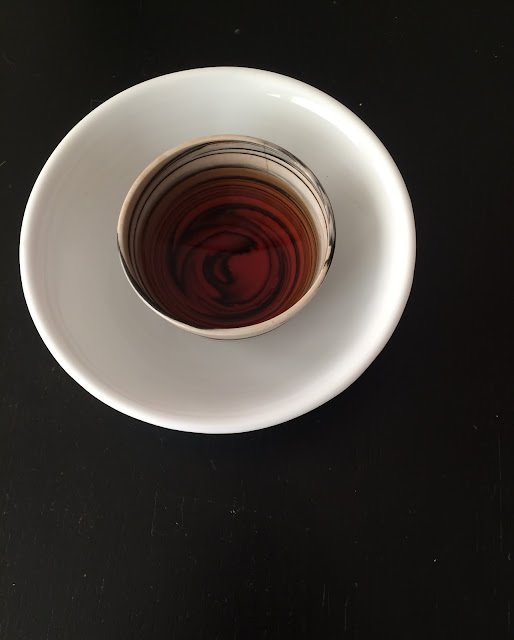 The recommended steeping parameters are 150 mL, 195F, 30s. I steeped the entire 5+ gram sample in approximately 150mL of 205F water for 30 second infusions. The first infusion was robust. The liquor was medium to full bodied. There was no doubt that this tea was a hong cha. It was malty, sweet, and fruity. The second infusion revealed dry, fruity chocolate notes with a tart red fruit tail note. I detected a creamy texture on the middle to the back of my tongue. There was a lingering woody taste which I identified as cedar but I think this is my default woody note in the same way that rose is my default floral note when it comes to tea tasting. The flavors did not stop there. The cooling spice effect of Ruby 18 was also present as well as a warm, wet soil taste, though clean, not funky. I steeped this tea two more times both of which were increasingly less robust than the previous one. The third infusion retained the creamy textured tail note. The liquor tasted of a chalky, unsweetened chocolate and produced a lingering drying effect. The fourth and final infusion was floral with a rough bark taste, and a chocolate tail note. The best of the session was the second infusion. If I steeped this tea Western style if I could extract an entire cup of second-infusion flavors?! 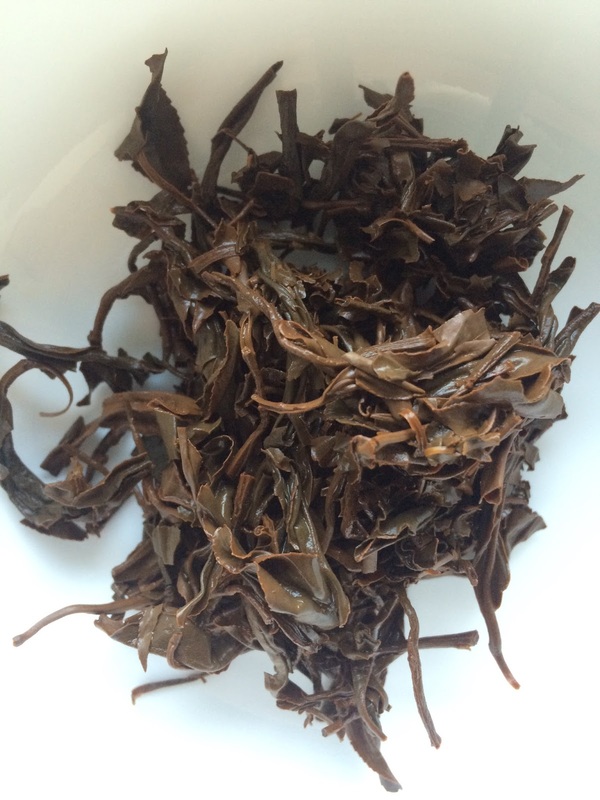 The multi-dimensional quality of the second infusion can be explained by the fact that this tea is a new cultivar derived from Ruby 20, Ruby 12, Jin Xuan, and Is Jun Chun. Golden Hand Taiwan Black and other samples were provided by Totem Tea. P.S. I received several sticks of incense with my tea samples from Totem Tea. I never thought it was appropriate to be in a scented environment when drinking tea. Therefore I have been reluctant to burn the incense. However, I did pair the young sandalwood incense with the Old World Qing Xin Oolong, a tea review I will post soon. 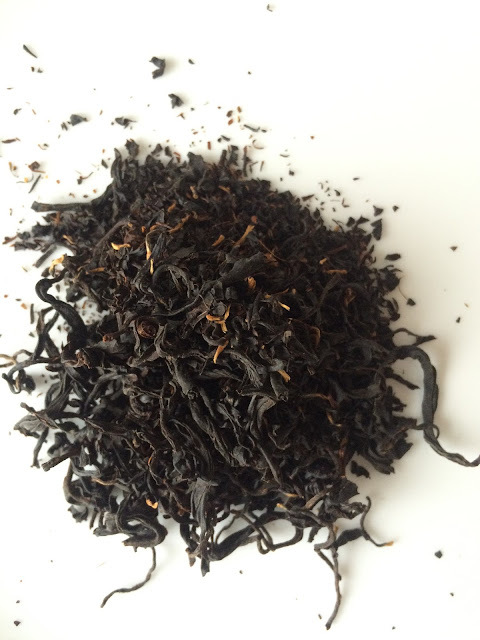 Great tea review on this Taiwan black tea. I wonder what the wet leaves (Infusion) assessment was. Good question. I did not make a note.